Beyond Sport World is a platform for any organisation in sport and development where you can promote your own initiatives, and discuss, support and connect with others globally. Nukanti's Colombia based Capoeira program 'Jugando por la Libertad' was short listed in Sport for Conflict Resolution category and won in September 2013. Green Hope Colombia is protecting nature and the ecosystem for future generations in the Amazon, it is necessary to stop deforestation and sustainably manage the natural resources of the forest, this is the mission and why the NGO Green Hope Colombia was created in 2007. The protection of the Amazon rainforest, known as the lungs of the world, due to indiscriminate deforestation, conversion of large tracts of land for cattle expansion. Green Hope Colombia sees the urgency to create plans that economic activities in the region and people affected, could be sustained, and the forest will not have much damage and will be managing natural resources for future generations. Reforest and work together with Indigenous communities the sustainable use of their resources. Make everyone aware why this is important to protect and preserve the Amazon Forest. Foundation 10.12.48 is a non-profit organization that works to raise, protect and defend human rights. Fundamentally, we use any art form, as a means of expression and communication, to reflect any act of injustice and all forms of abuse to human dignity. They believe that all forms of art including film, photography, music, theatre, painting, sculpture, and architecture as well as cultural and development cooperation contribute to build peace, to fight against poverty and to achieve sustainable development. We Want Peace (WWP) has a simple goal: To raise awareness on the fundamental principles of justice, equality, unification and conflict prevention, through the power of music, worldwide. Spearheaded by the internationally renowned recording artist, actor, author and activist, Emmanuel Jal, the WWP campaign has gone from strength to strength since launching in December 2010. Fundación por la Justicia is an independent, non profitable, self-governing organization dedicated to defending, promoting and protecting human rights. Our goal is to contribute in influencing changes in attitudes and behaviour in society at large by assessing the current situation of justice and promoting values such as peace, democracy and solidarity both in Spain as well as in developing countries in Africa, Asia and Latin America. World of Difference is Vodafone’s unique corporate giving initiative which mobilises people to take time out and work for a charity of their choice. The programme is designed to take corporate giving beyond the traditional “cheque book charity” space and to tap into the energy, skills and difference which people can make and utilise mobile to make it happen. Designed to appeal to those who wish to take a paid career break and use their skills and experience in the third sector, the programme is also popular with social entrepreneurs, supporting many in developing organisations whose primary focus is to deliver social change. Managed by Vodafone Foundations, World of Difference currently operates in 22 countries around the world with over 2100 individual winners to date. An on line movement of 250,000 fans are following the programme via social media channels, mobilising and supporting the winners in their efforts to make a difference and deliver social change. Corporación Casa Amazonia is a local non-governmental organization that, for eight years, has been developing and implementing projects in the different boroughs of Putumayo. Our ogranization is committed to promoting and consolidating democratic alternatives for the development of a cultural, social, communitarian, and environmental identity, which we hope will serve as an incentive to respect, protect, and promote human rights, the UDHR, gender equity, ethnicity, and vulnerable groups. We work in tandem with national and international organizations for the stregthening of a peace policy, social coexistence, and sustainable human development, with a great focus on gender and the environment. 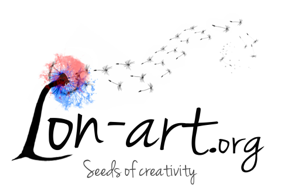 Lon-art is a cultural initiative that aims to enrich society through educational and art activities. Their main objective is to achieve positive changes in society through critical thinking and raising social awareness. They believe that art education can contribute to developing creativity and imagination, and can create new opportunities for disadvantaged communities.